Wombat’s is the choice for most backpackers in Vienna. The interior is a rainbow of pastel colours which immediately liven up the reception, bar, corridors and rooms. We stayed there for 2 nights in a 4-bed ensuite room. The environment in the hostel was friendly and at the same time secure. You are issued with keycards which grant you access to a cluster of 4-5 rooms and also your room. There are also lockers provided in the room – big enough to put your backpacks in. You get a free welcome drink for your stay at the basement bar which is very happening but don’t worry – the noise did not reach our rooms so we had a good night sleep too. 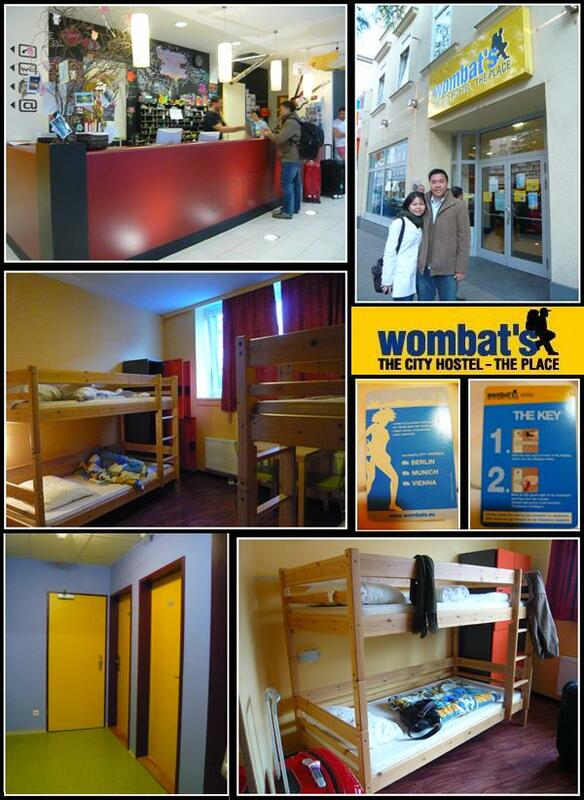 There are 2 branches of Wombat’s Hostel in Vienna -the Base and the Lounge (where we stayed). The Base is further from Westbahnhof compared to the Lounge. 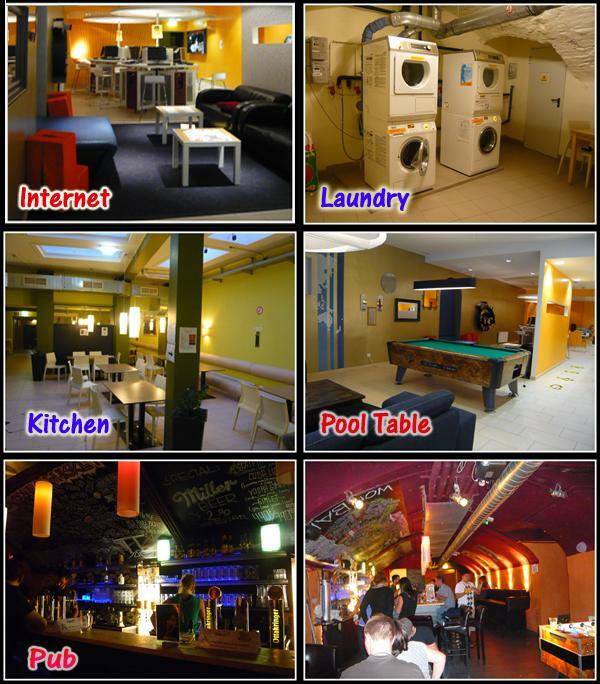 More information can be found on Vienna Wombat’s The Lounge Hostel website. .-= kelvin´s last blog ..夠愛mv. =-. @kelvin, indeed its very well-equipped and most importantly very good location! Next time I’m in Austria, I’ll have to check them out – looks great and extremely clean which is definitely what you want when staying in another country. Hi. On your page, I noticed that you list some travel websites, but you didn’t include Hostelz.com. Started in 2002, Hostelz.com is the most complete database of hostel information available anywhere online. The site lists all hostels for free and includes direct contact info for hostels and exclusive photos and reviews. If you could, please take a look at the site, and if you think it would be useful, it would be great if you could include it on your website. Thanks and let me know if you have any questions. highly recommended hotel? if yes, i’m booking this as well. what abt the larger luggage which u cldn’t fit into the locker? was it safe to leave it besides yr bed esp for me who’s travelling alone? Hi Johnny, this is a hostel not a hotel. Our luggage could not fit into the locker but we do not need to worry about it being stolen as we have booked a room for 4 of us.